Simultaneous shows in Portland and Tacoma! 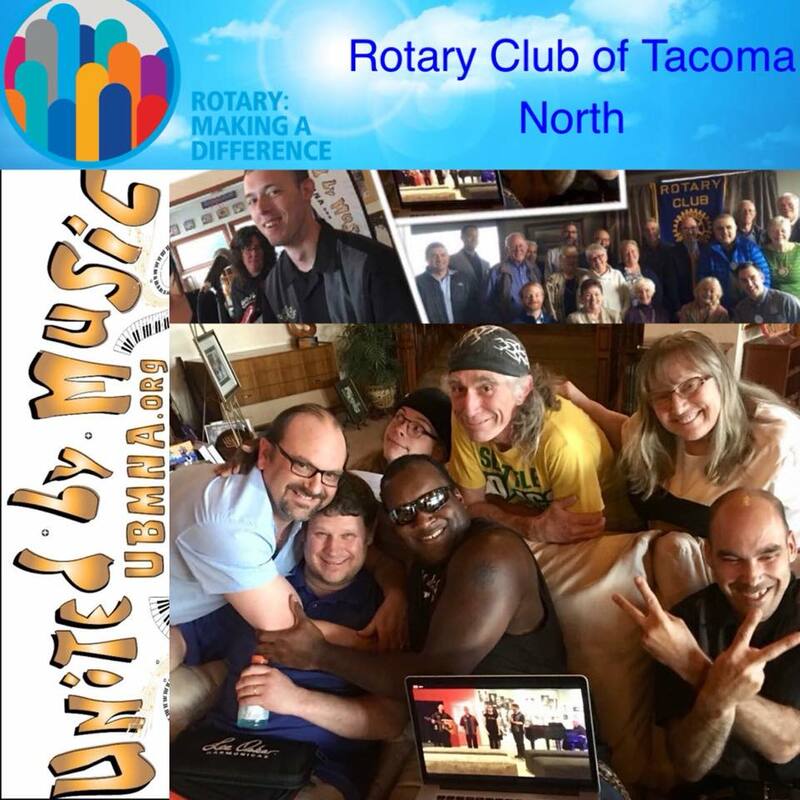 Tuesday, June 12th – Simultaneous shows in Portland and Tacoma for United By Music North America. Barbara is in Tacoma, facilitating the Full Band Performance with our WA STATE Instrumentals. Malcolm, Sean, Ryan, Roy and Patrick who is also the feature vocalist, and mentors William & Ike! Amanda drives to Portland for the final residency performance at Artists Repertory Theatre (see Amanda’s profile pic for details). — with Patrick Blue, William Straub, Ryan Adcox, Sean Reed, Malcolm Monaghan, Ike Sutton, Barbara Gresham Hammerman and Roy Bowen II.